Who knew that avocado could be so fancy? 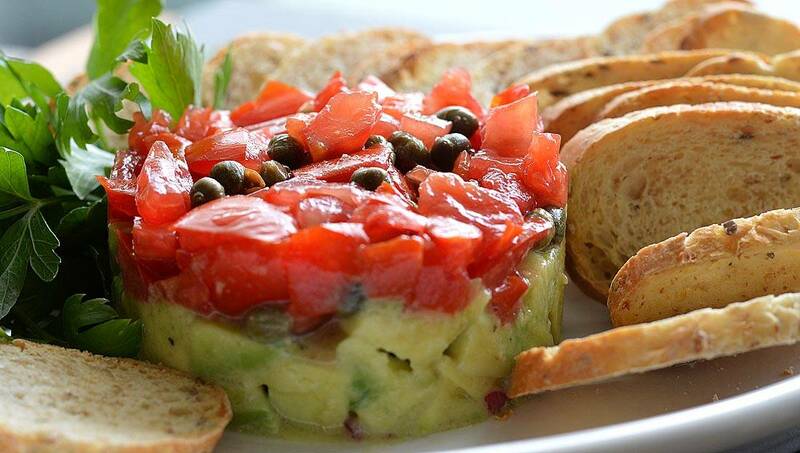 This Tomato Avocado Tartare is a spin on the classic, sometimes mundane, avocado toast and takes just minutes to create. Although ours is merely a play on words, ‘tartare’ being derived from “served with tartar sauce”, it’s completely vegan using dijon to emulsify instead of an egg yolk. But the taste is amazing! You asked for easy, low-calorie meals and I agree…I want that too. 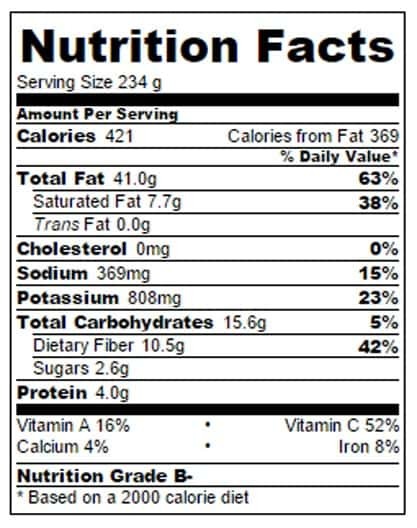 Nutritional information for the recipe below! I sliced the grainy baguette 1/4″ thin to keep it lighter and just toasted it. No oil. No butter. Using a ripe avocado helps to create a spread. Topped with capers, what makes this tartare special is the marinade. Whisk together olive oil, red onion, dijon mustard, lemon juice, parsley, salt, pepper and vegan worcestershire sauce. Lightly toss with the avocado. I positioned a 3″ cookie/biscuit cutter exactly where I wanted it on the serving plate. Arrange the marinated avocado in the bottom of the ring, pressing lightly but firmly. Top with diced tomatoes that are seasoned simply with salt and pepper and tossed with a few capers. Again, pressing lightly but firmly. Do not remove cutter until ready to serve. 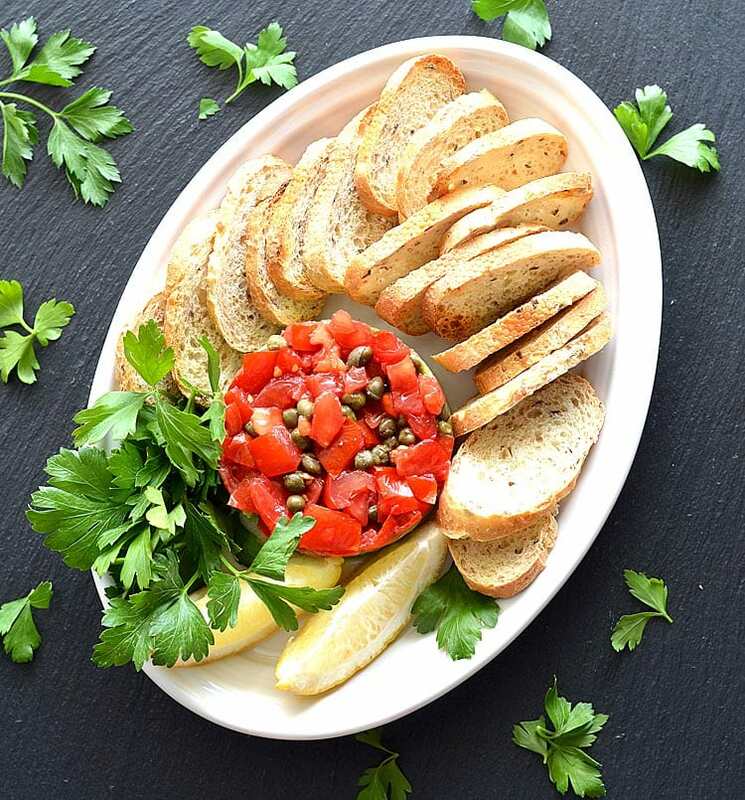 Arrange the toasted bread slices around the plate and garnish with parsley and lemon wedges. The lemon adds a nice acidity to this recipe. Using a spoon to assist if necessary, remove the cutter by lifting straight up. Serve immediately using a knife to spread the avocado. This is a great recipe for guests who will think you went to a lot of trouble prepping this dish. Cut all of the baguette about 1/4" thick and lightly toast. Set aside. In a small bowl, combine the oil, onion, dijon, lemon juice and parsley along with the vegan worcestershire. Finely dice and pat some of the moisture from the tomatoes. Toss with capers. Dice the avocado and lightly toss with some of the marinade. Place a round cookie or biscuit cutter into position on your serving plate. Lightly press the avocado mixture into the bottom of the cutter. Top with the tomato/caper mixture. Arrange the sliced toast around the plate and garnish with lemon wedges and parsley. Remove the cutter by lifting straight up using a spoon to help if necessary. 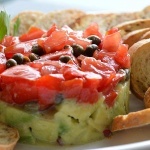 *Recipe nutritional data below was entered into CalorieCount.com and is for the total recipe – tartare only! I found that it served two nicely. You could, of course, double the recipe. Please remember to calculate in whatever bread you choose.